Over 18 years, seven solo albums and numerous sound installations and commissioned performance works, Montréal musician and sound artist Tim Hecker has turned “ambient noise” on its head, crafting his own recognizable style of abstract electronic music with profound emotional resonance – from the bleak yet all-encompassing soundscapes of his 2004 Mirages (on Alien8) and 2006’s Harmony in Ultraviolet (on Kranky) to more recent explorations of acoustic sound gone digitally wild on his 2011 album Ravedeath 1972 and his latest, Virgins. Resistant to genre, his compositions layer synthesized glitch and static over sustained piano chords, and put dissonance and orchestral harmony on equal footing. 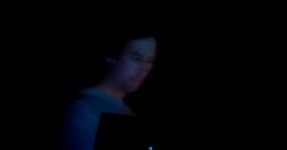 Live, Hecker plays his compositions loud and preferably with the lights out; never sacrificing clarity, his sonic narratives building to transcendent crescendos or rumbling into wave after wave of body-shaking bass. For EM15, Hecker introduces a new level of intensity to his live performance, turning a concert hall into a darkened, fog-filled, disorienting space where sound completely overwhelms the senses. 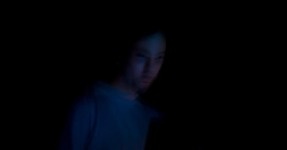 After 20 years and eight solo albums, Tim Hecker’s mastery of deep “ambient noise” still escalates in intensity with every release and increasingly sensorial performance. From his captivating bleak soundscapes on Harmony in Ultraviolet to recent melodic explorations of acoustic instruments run through with digital dexterity on Virgins, Hecker resists languishing in any genre. His compositions veer from synthesized glitching static to sustained piano chords, from dissonance to orchestral harmony. Live, Hecker plays his compositions loud, never sacrificing clarity as his sonic narratives build beyond muted drone to transcendent crescendos, or rumble into wave after wave of body-shaking bass at the threshold of mind-breaking. His Fog Works performances have turned dark rooms into zero-visibility dark nights by a raging winter sea, while recent collaborations with lighting designer MFO may augment the smoke with other sensorial flashes, the performance still privileges the aural as its central fixation. Shortly after the release of his new album Love Streams on 4AD, Hecker steps into the MUTEK concert hall once more, this time enthralling and disorienting with a new all-senses-turned-on performance that threatens to light up his customary darkness in LED bursts. For MUTEK 2012, Montreal ambient producer Tim Hecker himself reached out to programmers to suggest an unprecedented performance with guitarist Stephen O’Malley, of mythical band Sunn O))), using the organ at St-James United Church, a monument in the heart of downtown Montreal. These leading lights of sonic architecture will each perform independently, meeting along the way for improvisational passages as a duo. A festival favourite, Hecker currently stands at the forefront of ambient and experimental music, his international renown having grown steadily over the years. Beginning in 1996 under the Jetone moniker, early on he moved to working on increasingly complex compositions under his own name, melding dissonance, noise, and melody into a unique signature. 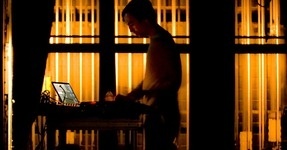 He has released many albums on the Substractif, Mille Plateaux, Alien8 and Kranky labels. The latest, Ravedeath, 1972, released last year, is nominated for a Juno Award in the Electronic Album of the Year category. 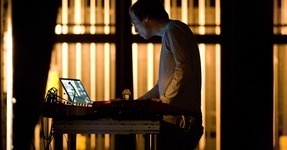 A veteran of the Montreal experimental community, Tim Hecker has performed at the festival numerous times over the years as his international reputation has swelled to enviable proportions, most notably in 2008 alongside Christian Fennesz. Though he began his musical career as the ambient techno act Jetone, Hecker soon dropped all semblance of rhythm for more intense and atmospheric drone compositions under his own name. His work often bridges the divide between artful dissonance and avant-garde classical, delivering pieces that are at once harsh and soothing. He has since amassed a wide cult following with such classic albums as 2001’s “Haunt Me, Haunt Me Do It Again”, 2003’s “Radio Amor”, 2004’s “Mirages”, and 2006’s critical high-point “Harmony In Ultraviolet”. This year he returns to the festival stage to present innovations on his most recent recorded outings, including the 2009 album “An Imaginary Country”. 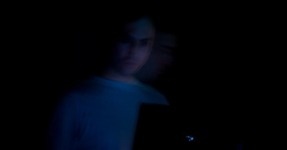 MUTEK is extremely proud to present Montreal’s Tim Hecker as one of its 2008 headliners. The honor is truly deserved. A veteran of the Montreal experimental community, Hecker has performed at the festival numerous times over the years, as his international reputation has swelled to enviable proportions. Though he began his musical career as the ambient techno act Jetone, Hecker soon dropped all semblance of rhythm for more intense and atmospheric drone compositions under his own name. His work often bridges the divide between artful dissonance and avant-garde classical, delivering pieces that are at once harsh and soothing. He has since amassed a wide cult following with such classic albums as 2001’s Haunt Me, Haunt Me Do It Again, 2003’s Radio Amor, 2004’s Mirages, and 2006’s critical high-point, Harmony In Ultraviolet.